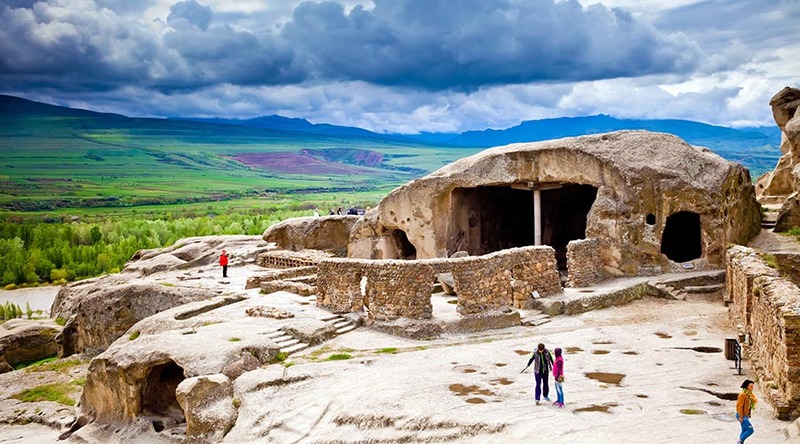 Uplistsikhe is an ancient rock-hewn town in eastern Georgia, some 10 kilometers east of the town of Gori. Built on a high rocky left bank of the Mtkvari River, it contains various structures dating from the Early Iron Age to the Late Middle Ages. Uplistsikhe is identified by archaeologists as one of the oldest urban settlements in Georgia.